"Magic fishing and whale cries"
This is a delightful book to read, particularly if you're interested in world mythology and legends. 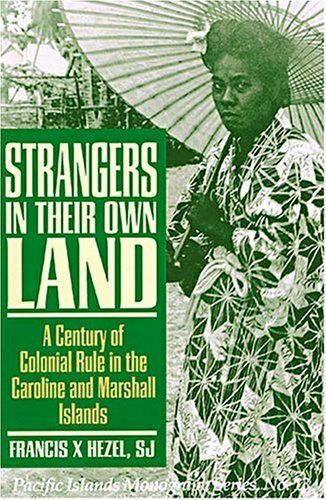 These stories provide a glimpse of a rich folk history that provided (provides) the Marshall Islands with a base narrative for all aspects of life. Worth noting these are not children's stories, and can cover topics that might be difficult for children. As an English tutor for elementary school students from the Marshall Islands now residing in a rural US community, I hoped that this collection would provide insight into the cultural background of the kids. My plan was to preview it and then pass it around to the the classroom teachers of my students, encouraging them to use it to foster cultural appreciation. I initially requested that our ELL program purchase the book and was told that funds were lacking but that I could try to get the school library to buy it. I didn't feel like wading through the red tape and decided to order a copy myself. I was right - it is a great collection and gives an insight into Marshallese culture that I haven't been able to find anyplace else. But I'm awfully glad that I didn't ask the elementary school library to pay for it, because it could never be placed on the shelf. 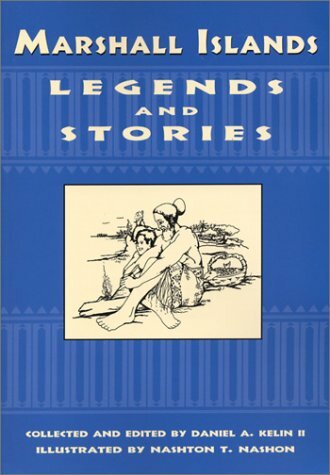 Most of the stories deal with very adult themes and are not appropriate for use in an elementary school setting. Also, the illustrations represent women with bare breasts, roughly drawn but definitely there and certainly an accurate depiction for these authentic legends. I don't even want to think about the commotion this would cause in a 5th-grade classroom. Still, I personally really enjoyed reading both the biographical backgrounds of the storytellers as well as the legends themselves, and there are several stories that we will be able to use as "read-alouds," or that possibly can be paperclipped in such a way that I can have a student read w/out being distracted by the illustrations. Really a great book for anybody who desires to learn more about the culture of the Marshall Islands! A fine piece of work and research. The book came from the University of Hawaii Press and is well-documented and the presentation of the book is excellent.Father Hezel, the author, is highly recognized as a religious leader in the area, and respected for his knowledge and working with the various island cultures.This is the book that you need to study to understand what happened, during the pre-colonial days, before Germany, Spain, Japan and America added their influences.As an example, families living side-by-side in villages will have names like Smith, Salas, Weilbacher,and Mori, and most will be able to trace their ancestry back to a distant relative, who intermarried into the family.Enjoyed the many maps.A good book for research but also for general interest about the islands and the early developments. Micronesia contrary to common beliefs was not discovered as it was always settled by the people who call it home. In any case, whether by accident or by design, the region served as host to many colonial administrations(Spanish, Germany, Japan and the United States). This book is anexcellent source for those people intending to understand the history ofthe region through the eyes of foreigners. This book reviewed all existingdocuments that relates to that era, from church documents to ship logs andother communication between the colonial home countries and people in thefield. It is rich, but it is not a complete history of the place aspeople from the region are exluded from it pages, except in instances whenthey were described by the writers as evidenced by written records. This digital document is an article from The Contemporary Pacific, published by University of Hawaii Press on March 22, 2008. The length of the article is 11106 words. The page length shown above is based on a typical 300-word page. The article is delivered in HTML format and is available immediately after purchase. You can view it with any web browser.